Wednesday will definitely be a day of strong contrasts. On the one hand, that day may be very generous to one of you, and on the other hand, it may take something away from you. All this will depend on your actions and decisions so far. Young men can receive a small amount of unexpected money. There is no need to provoke your destiny with various hasty actions on your part. This day will be good for traveling for men over the age of 35, especially if it is related to an important goal or task. If you allow yourself to be involved in a conflict today, be prepared for the unpleasant consequences. On Wednesday, an unscheduled cost for a child may occur which may make you nervous. 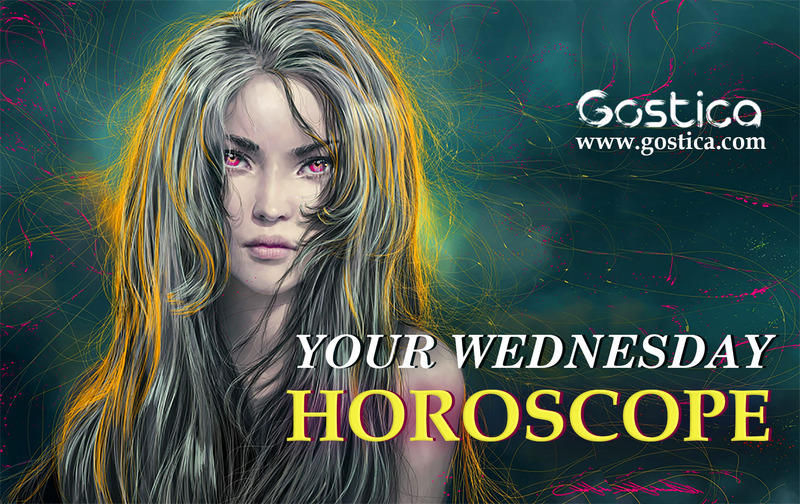 If you were born under the sign of Aries Leo or Sagittarius, Wednesday will have something to surprise you with as an experience. Today, interesting developments will relate to your property or material dealings and engagements. This will be a good day for purchases that are important to your home or work. You may be surprised by a gesture or a gift from a person born under the sign of Gemini, Libra or Aquarius. If you were born under the sign of Taurus, Virgo or Capricorn, today’s interesting development will be connected to your love affairs with representatives of these three zodiac signs. Wednesday will be an important day to harmonize the emotional attitude in your home. This will be a good day for a marriage proposal, planning an engagement or wedding. If you were born under the sign of Gemini, Libra or Aquarius, today you have something to worry about or to panic about. The reasons for this will mostly be related to your expectations, which are delayed or for which you have no information. Do not rely on people born under the sign of Leo, Sagittarius or Aries today. If you were born under the sign of Cancer, Scorpio or Pisces, today you will be burdened much more with different tasks related to your family or work. The good thing is that you will have enough energy and resources to realize them. Wednesday brings money into the family or through your work. Ready Set Go! Today you will have to get out of bed already aware of what awaits you and you will have to accept it. You must not postpone yet more certain appointments. Face your challenge with pride. You are ready and you must believe it. People close to you already do so, so your self-esteem should be affixed. You will find some news that you will enjoy at work, so everything will be better. You will find many friends, knowledge, and ideas on this day. You have neglected a little everything and everyone to dedicate your body and soul to a work project that has so absorbed you that you have lost touch with reality. Healthy gossip with your colleague will only do you good, and you will be ready again for the days to come, equally demanding, but much more bearable thanks to affection and leisure. Leave details behind continuously. Always hope that someone else takes care of it, but it’s never like that, especially because you do not express your wishes. Maybe today you could try talking to such people. You will earn your effort in time since you are not going to devote yourself to trifles, as you call them, so it will be better to use your persuasive arts for something more focused. The main purpose of the day will be to compare what you have done up to now and what you can still do. Surely you can be much more productive than that. You have beaten the slack, but it is time to rebuild, it is time to get involved for something more important, to be achieved in a short time. You are already late, but you have all the necessary skills to recover, just want it. If you are not fully convinced of what you want to achieve right now, you can not blame those who move away from you and urge you to make more concrete decisions. Certainly, they do it for you and for your good, not to give you the torment. It would be useful to reflect on why you have slowed down, after an initial surge. Whether it depends on you or what you have not yet obtained. In the second case, you will have to be more patient.